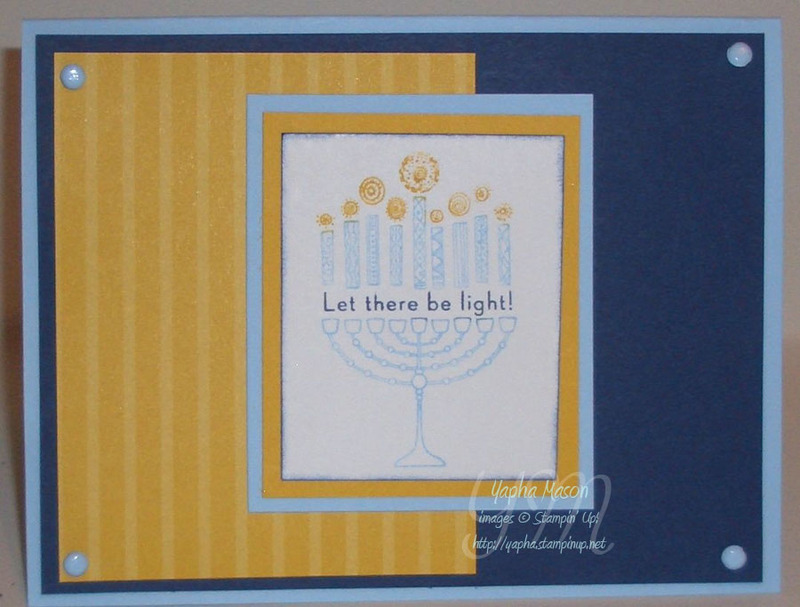 This is the third card that I made for the Stampin’ Addicts 3″x3″ holiday card swap. 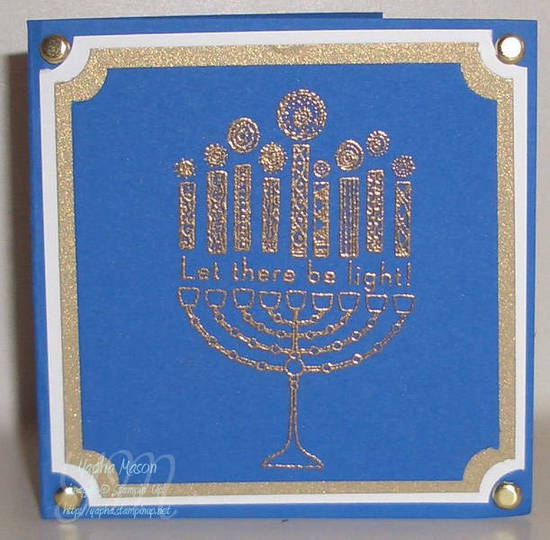 I changed the Designer Series Paper on it the same way I had on this Hanukkah card, by brayering Bashful Blue ink over the Night of Navy Designer Series Paper. I love doing this! It really changes the feel of the card, by eliminating the stark white on the DSP and allowing the focal image to show. Be sure and come back tomorrow — I am honored to be taking part in Operation Write Home‘s Veteran’s Day Blog hop. In direct contrast with yesterday’s elegant 3″x3″ Hanukkah card, today’s is a much more whimsical look. I used non-traditional colors to accent the funky nature of the candles on this card. 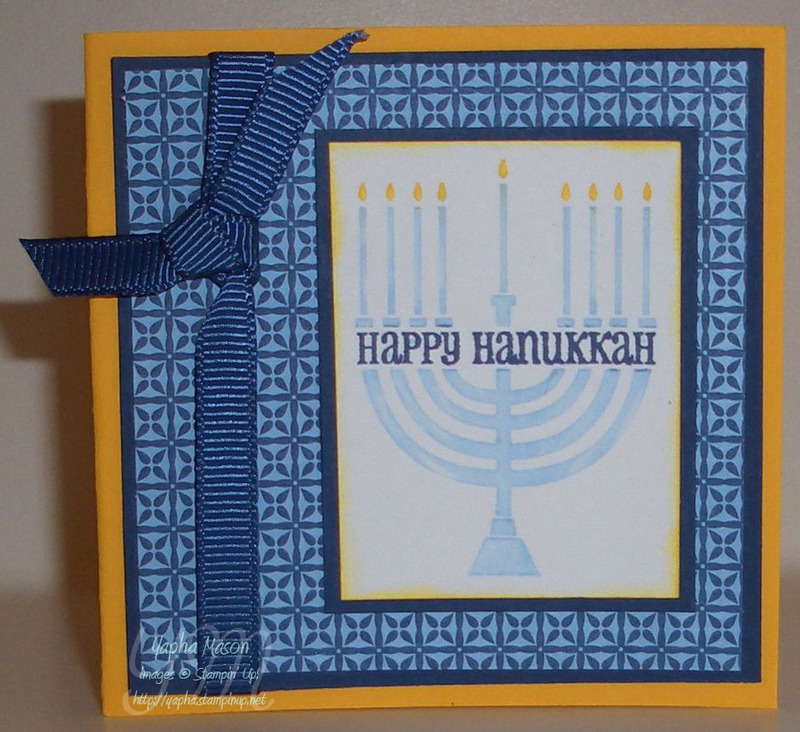 It is another one I made for the Stampin’ Addicts Holiday 3″x3″ card swap. It also is a perfect fit for this week’s Pals Paper Arts theme challenge. Thank goodness for the In-Color markers that make a fun card like this possible! Today is Veterans’ Day, and I want to start out with a big thank you to all of the men and women who are serving or have served our country in the Armed Forces. Thank you for giving so much of yourselves. 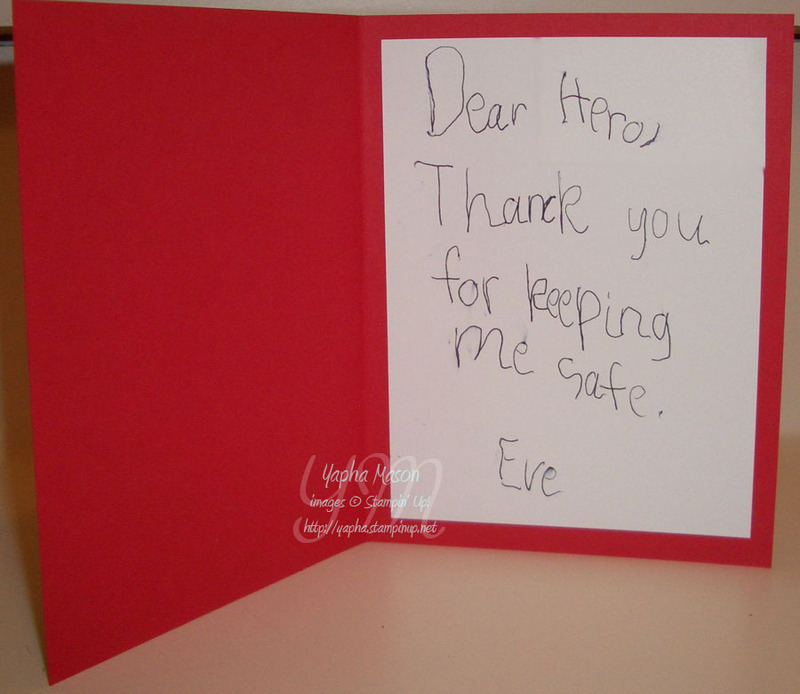 In celebration of this, I will be participating in Operation Write Home’s Veteran’s Day Blog Hop. It starts this Saturday, November 14th. Yes, Veteran’s Day is today, but the organizers want to give everyone plenty of time to visit the 100+ blogs that will be participating. Be sure to stop back on Saturday and check out the hop! 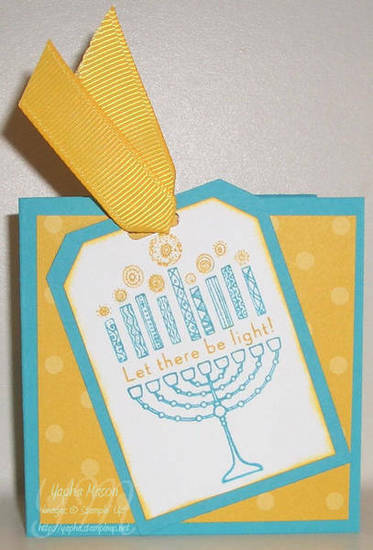 The card I have to share with you today is from a 3″x3″ Holiday Card swap that I recently participated in on Stampin’ Addicts. I was in four groups for this swap, so you’ll be seeing some more of these cards. I really like the 3″x3″ format. You can mail it in a regular size envelope for no extra charge, or use it as a gift card on a package. It is small enough to slip into a lunch box, but large enough to provide a canvas for some great art work. I was really pleased with how well Gold Embossing Powder showed the details of this stamp. 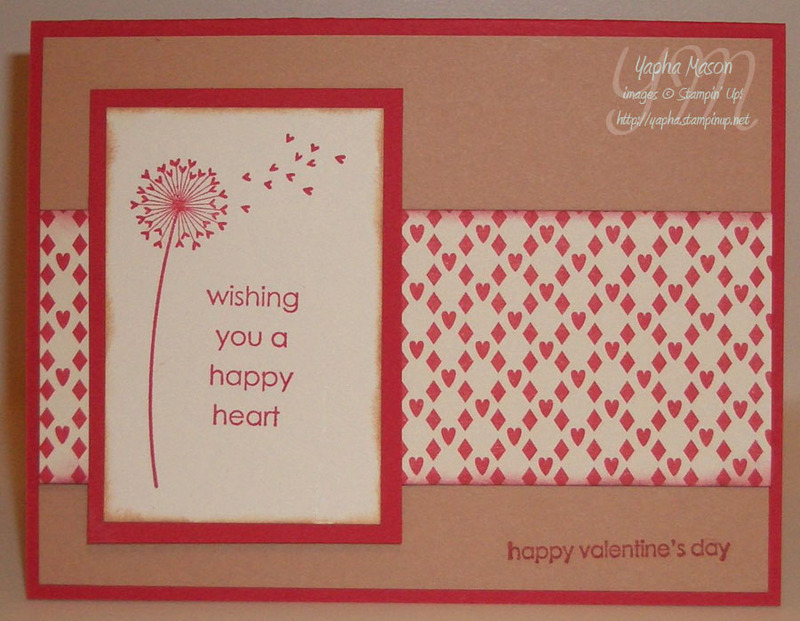 It lends a more elegant look to this whimsical stamp. 40 Years of Sesame Street! Wow! Today is the 40th Anniversary of Sesame Street. It is amazing to me to think that it has been around for almost my entire life — I was 1 month old when it started! I grew up watching it, I watched it as a babysitter, and finally watched it with Eve as a toddler. One of my most vivid Sesame Street memories was when Snuffleupagus became visible to the grown-ups on the show. What’s yours? 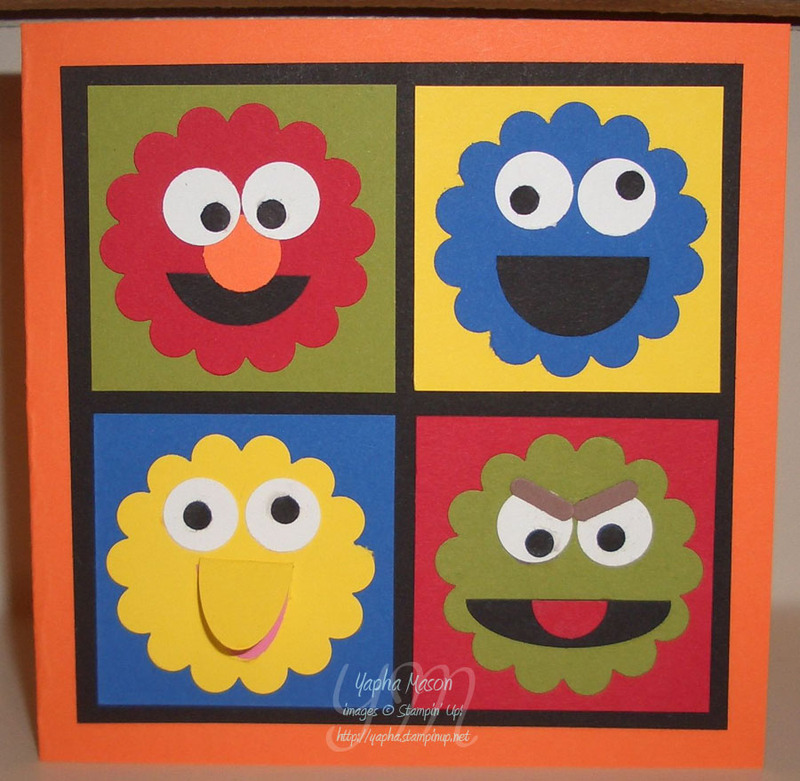 In celebration of the 40th anniversary, I created this punch art card of Sesame characters. I don’t know who came up with it first, there are a lot of versions out there! I was inspired by Sarah Wills version. 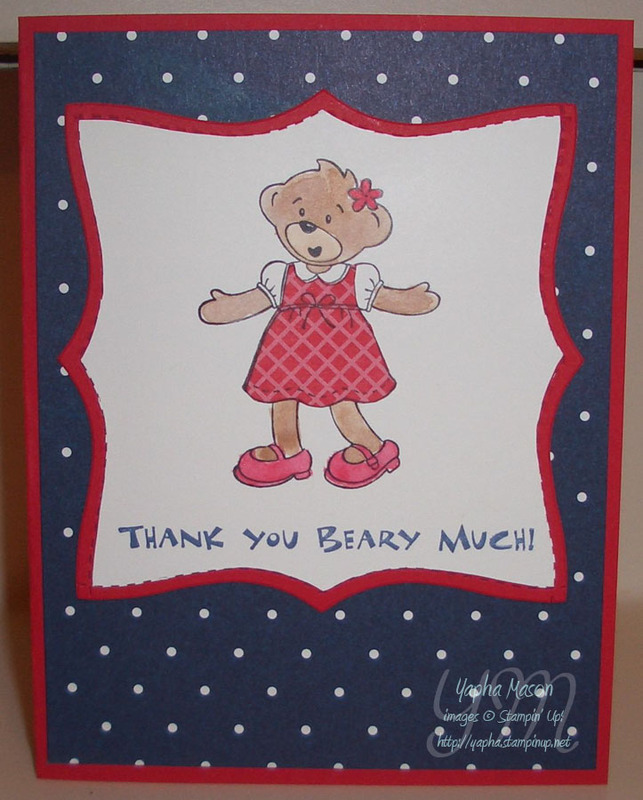 This card is a 5″ square. Happy Birthday, Sesame Street. Here’s to 40 more great years!